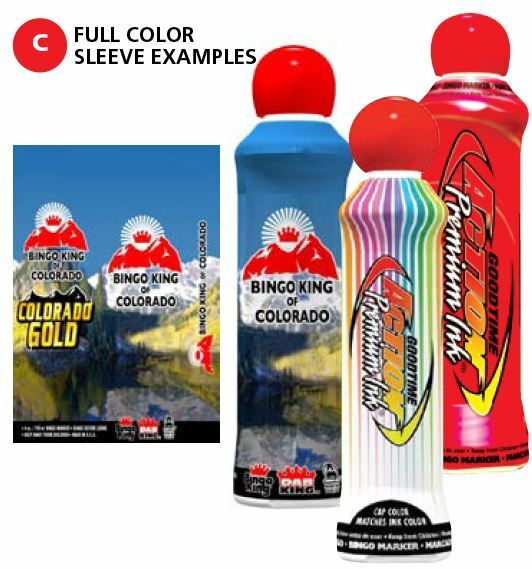 Three easy steps to ordering your custom designed bingo ink markers. Choose your ink brand, color and size using the guide to the right. 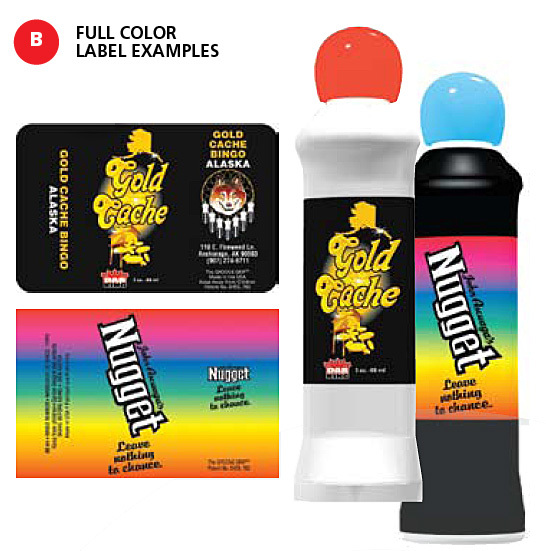 Create a customized 4-color sleeve to be designed by our artists to your specifications. The sleeve wil be shrink wrapped to the Groove Grip bottle. Choose from one of the following stock logos or use your own art work to customize your label. Please note that some national organizations require prior approval to use their emblems.